Just two weeks ago, at Computex2017 in Taiwan, Intel dropped a momentous bombshell: a new High End Desktop Platform was on its way, and the number of cores it could support will put everything which came before it to shame. The name of this new platform? 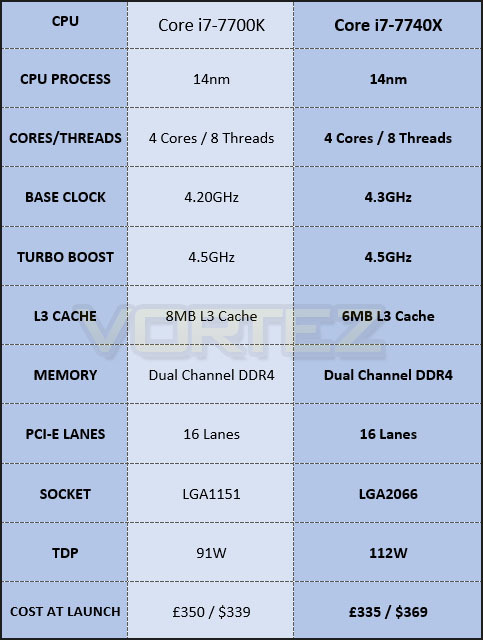 Intel’s Core X series. Today Intel's Core X series CPUs, alongside ‘Lewisburg’ X299 chipset motherboards from partner manufacturers, become available to pre-order. Retailer availability is expected from June 26th, so reviews for this new platform are coming at just the right time. Before we begin however, we need to take a moment to be transparent with you, dear readers. Intel have been unable to provide us with a review sample for the CPUs involved in this launch, so we should be clear that the model tested was sourced from elsewhere. 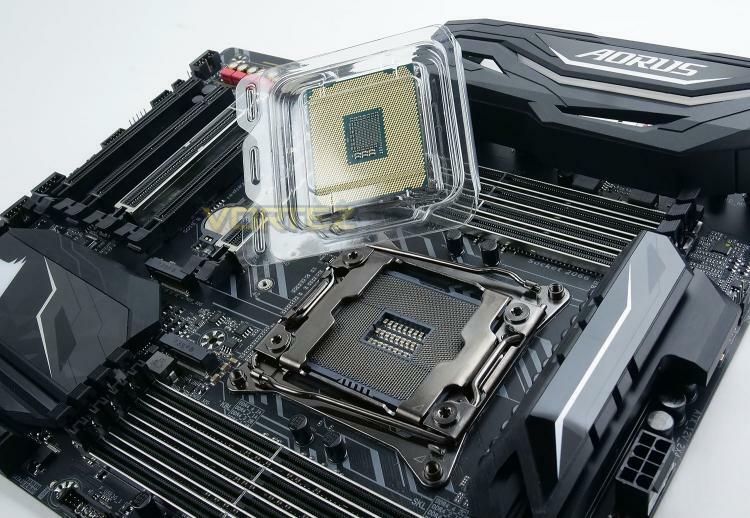 With the sampling situation unclear, we were very lucky to have any CPU whatsoever to pair with X299 motherboards amply provided by their respective manufacturers. Before we get into the nitty-gritty, let’s outline some basic terminology. Launching this week are the ‘Low Core Count’ models in the Core X series, but that label is a little deceptive. LCC Core X CPUs range from 4 to 10 cores, widening the cores available on the platform and reducing its entrance cost, and feature two distinct CPU architectures. Also announced at Computex, but available at a later date, are Core X CPUs with between 12 and 18 cores known informally as the 'High Core Count' SKUs; this figure of 18 cores and 36 threads represents a new high watermark for the HEDT terms of supported cores. Scalability is definitely the watchword for Intel’s new range. Intel's LCC Core X series is comprised of five models from two distinct architectures – Skylake-X, and Kaby Lake-X. The Skylake-X models range from 6-core/12-thread to 10-core, 20-thread models, each with the newly minted Core i9 branding. Kaby Lake-X CPUs are currently limited to quad-core chips only, including one SKU without hyperthreading. In this article we’re looking at one of those new entry points into the HEDT platform, the Kaby Lake-X Core i7-7740X. This quad-core with Hyperthreading design is joined by its sister CPU - the Core i5-7640X which doesn’t support Hyperthreading – with both sitting under the £350 price point. You’ll note the naming scheme, and the specification similarity between them and the mainstream Kaby Lake Core i7-7700K and i5-7600K; this isn’t a coincidence. Intel have effectively transplanted the Kaby Lake die onto an LGA2066 PCB, rather than formulate an updated architecture or salvage Skylake-X parts specifically for the quad-core selection. Gone however is the ‘K’ suffix from the entirety of the Core X lineup, an essential piece of housekeeping for the HEDT market to reduce inevitable confusion created by the new Kaby Lake-X Core i5 and Core i7 parts. Debate has raged over Intel’s reasoning for re-purposing Kaby Lake within the Core X range, but even a fortnight after its announcement the picture remains unclear. It’s true that a new price point is opened up for the Intel’s HEDT platform but, with the anticipated cost of X299 motherboards likely to be higher than Z270, consumers are expected to be paying more for equivalent out-the-box performance. We have speculated that the Kaby Lake-X parts are intended as something of a stepping-stone or stop-gap for anyone planning on upgrading to the HCC Core i9’s, but it’s increasingly looking likely that these CPUs will launch over the summer rather than being delayed until 2018 (when such a stop-gap would have made more sense). Thankfully, the realities of Kaby Lake’s introduction into the Core X series gives us a clear benchmark to hold it up against: it’s mainstream counterparts. Performance should be at least on par with these models, and that’s exactly what we will test. The slight price premium will however need to be justifiable, and that’s going to be a tough ask.